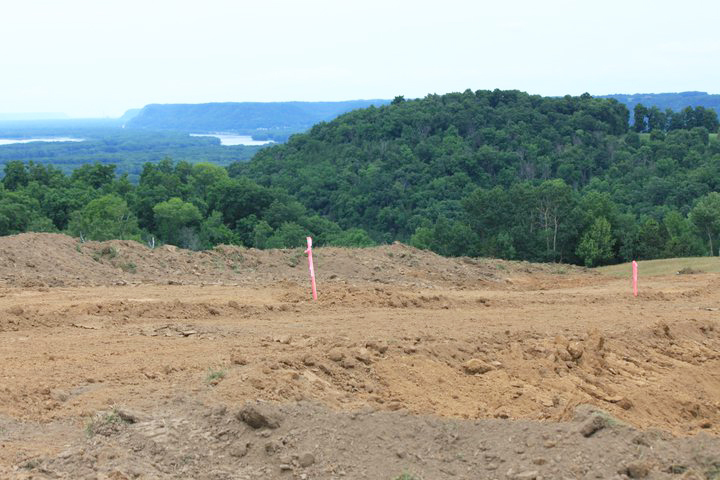 A photo of the start of the developments at Eagle Ridge. Visit again soon for more photos of the developments. This has been a busy summer at the development; we have been working hard to prepare the 9 lots for sale. The work at Eagle Ridge Country and Riverview Estate has included the infrastructure work to support the new subdivision. Gravel roadways were put in place and the well which will service the 9 lots has been drilled and work to bring the water lines to each of the lots is well underway. Visit the available properties page to see the plat and pricing of the lots for sale.